Create folder structure – Following is sample plugin file structure, its recommended by elasticsearch and its standard way of doing things. 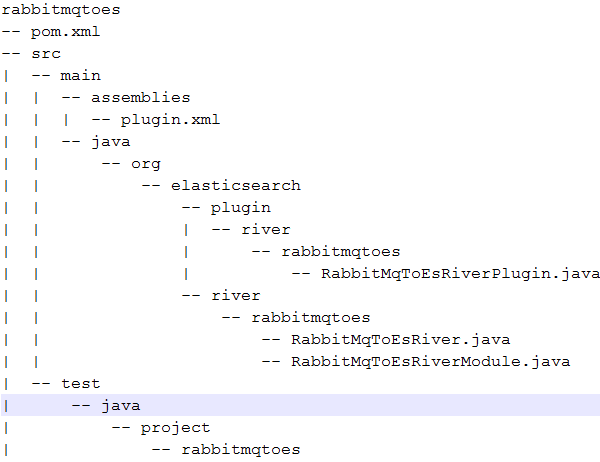 In following hermes bracelets structure, I have taken example of plugin name like “rabbitmqtoes” for our reference. Based on directory structure you have and idea that it is maven project. Let me provide to POM file for it so you can easily build it. Create river plugin class in folder – “src/main/java/org/elasticsearch/plugin/river/rabbitmqtoes/RabbitMqToEsRiverPlugin.java” which is identify your plugin and register/load it during elasticsearch start. Create river module class in this folder – “src/main/java/org/elasticsearch/river/rabbitmqtoes/RabbitMqToEsRiverModule.java” which will bind your business logic class. It should be created in folder – “src/main/java/org/elasticsearch/river/rabbitmqtoes/RabbitMqToEsRiver.java”. This class is abstracted from “AbstractRiverComponent” and it implements “River” class of elasticsearch. In this we are going to override river methods like start(),close(). this plugin as following command and restart elasticsearch.